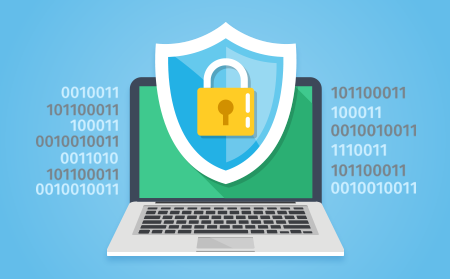 Incorporating a proactive website security solution will improve your site's functionality and assist in positive customer engagement with your brand and business. Google, being one of the world's primary search engines, values their visitors' engagement with their service. It implements an advanced algorithm to detect malware on any website within its search engines so that they can not only notify that site's visitors, but also prevent the spread of malware by blacklisting these sites – preventing end-users from visiting these infected websites. If your site has been infected with malware, your hosting provider may think that you've created your website to conduct malicious activity on other websites. So, to keep everyone safe, your hosting provider will shut your website down as an immediate response. When visitors attempt to visit your website, search engines will warn them about your hacked website – likely causing those visitors to take their business elsewhere. The effects of malware are numerous; but reduced performance is an inevitable effect of infected websites – which will ultimately result in visitors leaving and avoiding your website in their next browsing visit. In many cases, instead of being directed to your website, your visitors will be redirected to a different, malicious website. These malicious sites will not only cause discontent, because your site's visitors won't be able to access your business, but can also spread the malware infection to those visitors. A Distributed Denial of Service (DDoS) attack is an attempt to make an online service unavailable by overwhelming it with traffic from multiple sources. The attack can deny legitimate visitors access to your website. It's a similar scenario to Google's blacklisting. There are more than 2000 daily DDoS attacks and it accounts for one-third of all downtime. Hackers can purchase a week-long DDoS attack for $150 on the black market. Hackers can use your websites as gateways and launch-pads for additional attacks. Malware can cause an influx of pop-ups and redirect traffic to other hacked websites with more detrimental effects. You can end up being a victim of malware downloads that spreads onto your devices such as your PC, mobile phone, etc. Consider the risks of a reactive versus a proactive security solution when choosing your website security. Most of the damaged caused by malware attacks can't be reversed. To ensure full protection of your site, you'll need a website security solution with all the necessary features to combat advanced threats. cWatch Web provides a fully managed security solution so that you don't need the cyber expertise needed to combat today's hackers! It also provides a fully managed Web Application Firewall (WAF) with updated sets of rules, and the ability to create your own set of rules; all provisioned over a secure Content Delivery Network (CDN). How comprehensive is a cyber-security solution without expert human assistance to combat the ever-evolving cybercriminal community? cWatch Web provides your website with 24/7/365 certified security analyst through our Cyber Security Operation Center (CSOC) that leverages data from over 85 million endpoints collected through our Security Information and Event Management (SIEM) tool to detect and mitigate threats before they occur. Scan and remove malware while also providing the ability to identify vulnerabilities assisting in the prevention of future malware attacks. A global system of distributed servers boosts the performance of websites and web applications. "Knowledge is Power". Utilize cWatch Web's advanced intelligence leveraging current events and data from 85M+ endpoints and 100M+ domains. A security wall safeguarding your website with the most updated standard and unique rule sets that will protect your website against advanced attacks including DDoS, SQL Injection and Cross-Site Scripting. Enables merchants and service providers to stay in compliance with PCI DSS. cWatch is an easily-deployed, proactive solution that ensures the protection of your website against all threats. cWatch Web prevents you from the potential costs and consequences of malware attacks – at an extremely affordable price point. The most effective solutions are proactive versus reactive. Register at cwatch.comodo.com and start your 24/7/365 web security, now!